A stomacher is a decorative panel of fabric, usually triangular in shape, worn to fill the space between the front edges of a woman’s open gown. The stomacher formed part of the ensemble of fashionable women’s dress from the 1680s to the 1780s. 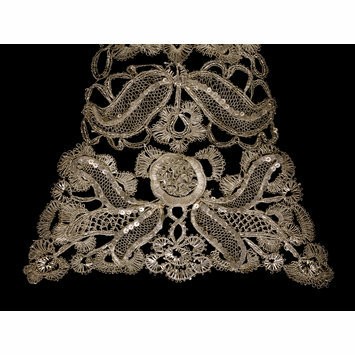 This example is made of extremely luxurious bobbin lace, entirely worked in silver thread, silver strip, silver-covered parchment and silver spangles. It was probably worn with Court dress, which in this period would have been a mantua, that might have been equally richly woven with silver thread. 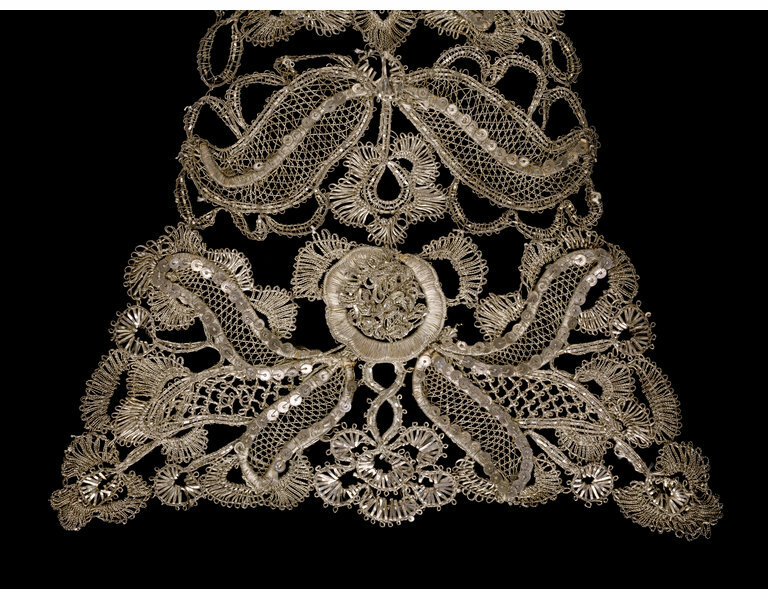 A stomacher of bobbin lace made with silver thread, strip, frise and spangles in a floral design.